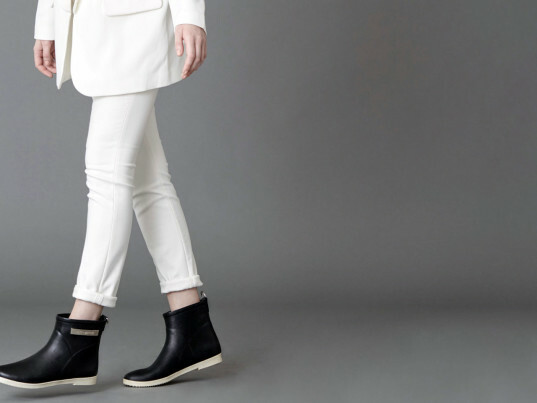 Launch a preemptive strike against April showers with a pair of rain boots from Alice + Whittles, a Canadian footwear company that offers clean, functional design with a humanitarian bent. 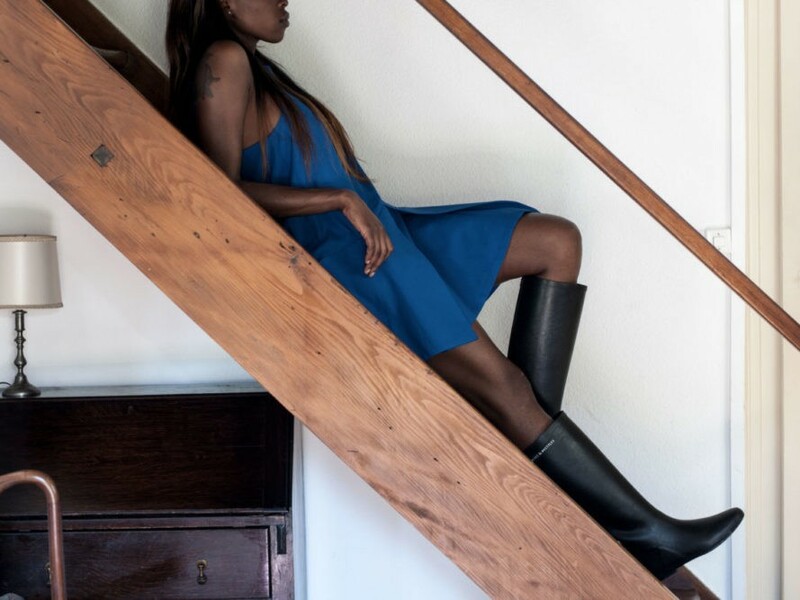 Inspired by Swiss minimalism, each ankle and knee-high boot offers a pared-down aesthetic that strikes a balance of "flexibility and rigidity, masculinity and femininity, function and form," according to Nicholas Horekens and Sofi Khwaja, two former UN Refugee Agency workers who founded the company four years ago as a vehicle for change. Alice + Whittles said that it expanded beyond its signature espadrilles partly out of necessity—the duo simply couldn't find rain gear that fit their ethical and aesthetic sensibilities. The solution quickly presented itself: “We wanted to create rain boots that were well-made and -designed while being ethical on a social and environmental level,” Khwaja told Ecouterre. Made in Sri Lanka from locally sourced rubber, the boots hew closely to Alice + Whittles’s mission to promote self-sufficiency in underdeveloped communities by investing in them. The rubber itself is double-certified through both the Fair Rubber Association and the Forestry Stewardship Council. There’s also a great deal of craftsmanship involved. The process of making every pair of boots requires more than 20 different operations. “We aren’t selling a product cranked out in mass quantities through molds, flying off the production line according to how fast machines can work or laborers can stitch,” Khwaja sakd. Through its efforts, Alice + Whittles says it has been able to provide its workers with benefits such as subsidized breakfasts and lunches; transport to and from work; an on-site store that sells household goods, food, and drink at a discount; insurance options; and access to loans for housing, education, and illness. Both styles of boot can be purchased online at www.aliceandwhittles.com, as well as at retailers such as Need Supply and Urban Outfitters. The solution quickly presented itself: "We wanted to create rain boots that were well-made and -designed while being ethical on a social and environmental level," Khwaja told Ecouterre. Made in Sri Lanka from locally sourced rubber, the boots hew closely to Alice + Whittles's mission to promote self-sufficiency in underdeveloped communities by investing in them. "Our boots are made using natural rubber tapped from select forests in Sri Lanka that are vetted to ensure they are environmentally responsible, socially beneficial, and sustainably managed," Khwaja said. We also pay a fair-trade premium for each kilogram of rubber that we source. This fair-trade premium is used for the improvement of the working and living conditions of the rubber communities that depend on the forests for their survival." There's also a great deal of craftsmanship involved. The process of making every pair of boots requires more than 20 different operations. "We aren’t selling a product cranked out in mass quantities through molds, flying off the production line according to how fast machines can work or laborers can stitch," Khwaja sakd.